Life is repetition of choices. The moment we start living, we pick up some and discard the other. The result of all choices I have made is “I”. Whatever we do, we cannot avoid to make choices, and cannot be neutral. “Choices” are not only social and conceptual (what jog I choose, and what kind of character I play). Standing with two legs as a process of evolution is also human choice, and we Japanese losing the ability to distinguish “R” and “L” is choice, too. We cannot be alive without these choices literally. Therefore, that we say something, that we take certain form (have a body that have a specific shape), and even that we exist are parts of our choices. In other words, they are removal or directivity. Any existence cannot see the world as it is. That we live in this world means that we categorize the world along with our own convenience, and do something based on this categorization. I want to question here. There is a “life” we have already begun, and there is a “self” we have been playing in a very real way. Earlier than I do something, I began to “do human” and “do Yuto Matoba”. My body presents the gross of what I have been doing. Anyway, let’s move my body. If I pay attention to some parts, the other parts begin to exclaim. I move and breathe while listening to them. After this exercise, I feel refreshed, relaxed and can see the world in a flat way. However, even in this state, there is a bunch of parts that I have overlooked. 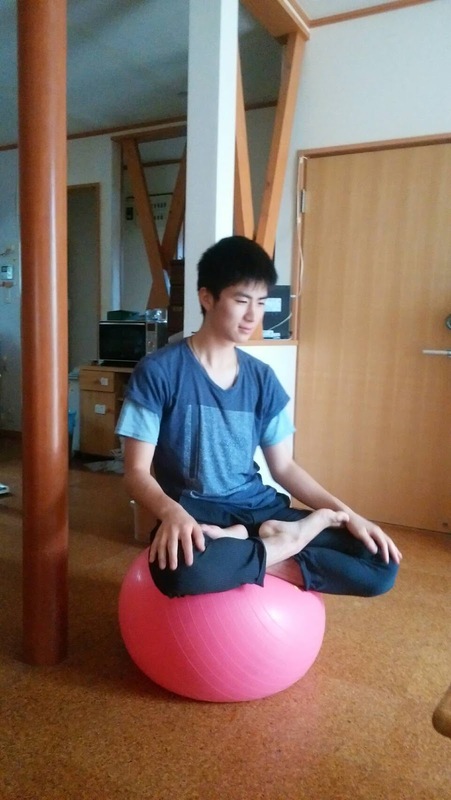 Moreover, returning to daily life and doing “Yuto Matoba”, playing a “university student”, and behaving “masculine”, and doing a “human”, I put myself huge number of bias. After all, we can see the world only through the lens we ourselves have made. We, such existence, always face something different. They categorize the world in a different way from me and live based on the world image. That’s why it is possible to have a conflict. What have I been discarding? They are always sending signals to notify us what we have forgotten. Looking back choices I made, and being aware of them. Only after that, I can have a possibility to relate to others who are incompatible to me. Still, I can see the world only in a way I have categorized, but there is a beauty in the fact that while we cannot understand each other completely, we can relate .